Pinched nerves can cause serious, numbing pain in the neck or back. 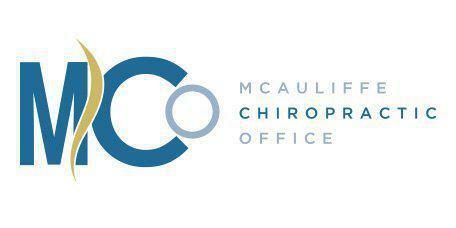 Here at McAuliffe Chiropractic Office in Laurel, MD we specialize in providing safe, gentle and effective treatments for pinched nerves, without invasive drugs or costly surgeries. Pinched nerves, also known as compressed nerves, occur when excessive pressure is placed on the nerve. This pressure may be the result of repetitive motions, trauma, poor posture, or even sleeping or sitting for prolonged periods in a certain position. These compressions often occur when subluxations, swelling or bulging discs around the joint “pinch” down on these nerves. What Effect Does a Pinched Nerve Have on the Body? Since the pressure from a pinched nerve is so severe, it often prevents the nerve from functioning properly. This, in turn, causes a person to experience a range of possible symptoms such as pain, numbness, a pins and needles feeling, or weakness in the area where the nerve moves through the body. The sensation may stay in the area where the nerve is pinched or it may travel up and down the arm or leg as far as the nerve extends. Where do Pinched Nerves Commonly Happen? Pinched nerves can happen virtually anywhere, but they are most commonly seen in the spine. For example, a bulging disc in the lower back may place enormous pressure on the nearby nerve root. Pinched nerves also commonly occur within the shoulder or the neck or in patients with carpal tunnel syndrome. How Are Pinched Nerves Treated by a Chiropractor? Using gentle, yet effective spinal manipulations, your chiropractor will work to gently free the nerve from its entrapment. These adjustments can help alleviate pressure and pain and help restore the nerve to its proper function.